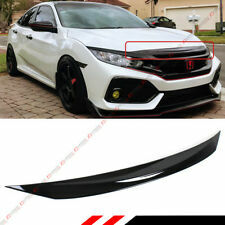 JDM Design Front Bumper Upper Molding Trim Cover. Change Your Car's Sporty Appearance. 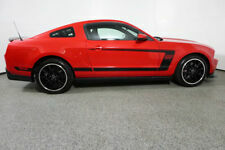 Will Be A Perfect Match If You have Si or Hatchback Model. Direct Stick-on Application To The Front Bumper. Painted Glossy Black Finish. Material :Rubber. Color : Black. Features: Flexible, Scratch Resistant, Waterproof. Easy installation, with Double sided Adhesive Tape on Back. 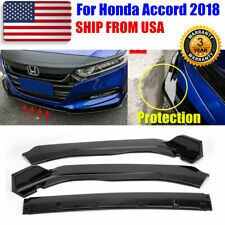 1 x set (3 sections) of Front Bumper Chin Lip Spoiler. Position: Front Bumper Chin Lip. Color: Black. Due to the difference between different monitors, the picture may not reflect the actual color of the item. Highly Reflective, Extra Cyrstal Lattice Film Layer! MITAccessories For Toyota SIENNA 2011-2019 Outside door molding chrome l ABS material, with factory high quality Triple chrome plated l With 3M double side stickers, stick on design, Easy to install Fit to SIENNA 3rd Generation models Brand MITAccessories Manufacturer Part Number Does not apply Surface Finish Chrome Warranty Yes. 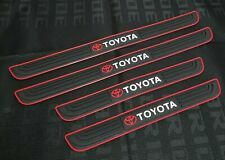 X1 TRD ARMREST PAD. TRD Logo Stitching. Material: Carbon Fiber Leather. Color: Carbon Fiber. Universal for all kinds of car. Smooth surface, is a best gift for a car lover. All orders require 24-48 hours to process. 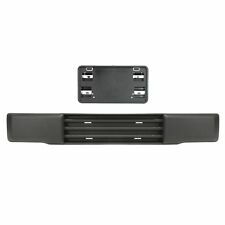 FITS 07-14 CHEVY SUBURBAN & TAHOE. FRONT GRILLE EMBLEM. 200 PCS Nylon Rivets. Made of Nylon plastic material, suitable for car use. Car's good accessory, commonly used for fitting side skirts, bumpers and other trim. 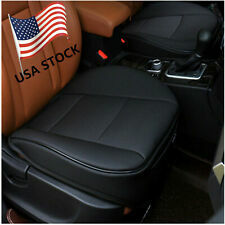 Cadillac Escalade 07-14 4pc set. These are made from the next generation of polycarbonate material. We are the largest manufacturer of pillar covers in the world. We can make a higher quality product at a significantly lower price than our competitors because we have invested in a fully automated production facility. 1 x Roll of 6M Moulding Trim Strip. Suitable for indoor and outdoor decoration. Such as: air conditioning ring, switch, grille trim, etc. The trim is made of flexible and durable high quality plastic. For certain vehicle model DRILLING on the body panel is required. Local pickup is available in California only. VI, GU, PO BOX, APO/FPO. And You can use this item twist up and down depend on the location. If width is not over 27mm, It's very difficult to attach. Length: 16Ft. 16ft Clear Car Door Edge Guard. U channel design fits easily for any door edge. Installs quickly and easily without tools, no effect on door closing. 9PCS Car Repair Auxiliary Tools Set 1. We will be happy to resolve any issues you may have in a cordial and friendly manner. All products are quality checked. Airbag 1. For professional repair centers only. D125 20 Pcs Door Trim Panel Retainer White Nylon Top Head Diameter: 13mm Middle Head Diameter: 15.5mm Bottom Head Diameter: 18mm Stem Length: 14mm Overall Length: 20.5mm Stem Diameter: 9.5mm For Isuzu Replaces 8942264920 For Mazda Replaces 9927-40-825 For Toyota Replaces 67771-01010 For Toyota Replaces 67771-12010 For Auveco A14269 C05. CHEVY SILVERADO SUBURBAN TAHOE GRILLE EMBLEM NEW FRONT GRILL GOLD BADGE LOGO US. Condition is New. Shipped with USPS Priority Mail. NOS BEST DEAL! 2 PIECES. But know I will respond. No exceptions. 2011-2012-2013-2014-2015-2016-2017-2018 Optima. 2011-2012-2013-2014-2015-2016-2017-2018 Optima Hybrid. Front bumper emblem. Original Kia. This tailgate RAM emblem letter will fit the tailgate of your Dodge RAM 1500, self adhesive, peel and stick, easy to put on your vehicle. 1 SET RAM TAILGATE EMBLEM. For DODGE RAM 1500 2015-2018. Real 3D badge, perfect decoration and protection for your car. 100 PCS Black Plastic Nylon Rivets. 100( /-2%) x Plastic Rivets. Plastic Rivet. 12mm/0.47". Fit for 2019 upToyota Rav4 OE JDM STYLE SMOKED WINDOW VISOR VENT SHADE. For -2019 up Toyota Rav4 all model. Set of 4 Pcs Smoke Window Visors w/ 3M Adhesive Tape (2 Front & 2 Rear). - JDM STYLE of spoilers for your vehicle. Need help to find the right combo for your vehicle?. 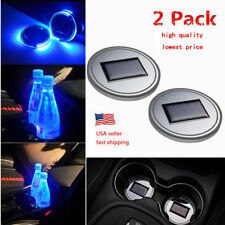 Door Handle Covers Mirror Covers Tailgate Door Handle Covers Gas Door Cap Cover. Door Handle Covers Mirror Covers Tailgate Door Handle Covers. Having Trouble with Your Repair? Speak to a Certified ASE Technician today! Car and truck exterior mouldings and trims provide an enhanced appearance for your vehicle. These parts also protect the exterior of the vehicle from scratches or chips that can occur from dirt and debris. 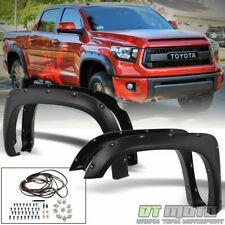 How do you install body side moulding on a vehicle? Vehicle moulding, or molding, serves to increase the appeal of the automobile which it is installed on. It also provides a certain heightened protection for the vehicle as well. To install body side moulding on a vehicle, following the below instructions will help. Ensuring that you are working in an environment that is between 65 to 75 degrees Fahrenheit to ensure proper adhesion, outline the area in which you wish to install the moulding with painter's tape. Remove any dust, soot, grime, or grease from the area with soap and water. Dry the area thoroughly before proceeding with the moulding installation. Cut the moulding to the proper length to create the right fit. You can line up the moulding to the bottom edging of tape you placed on your vehicle. Remove the adhesive tape along the back of the moulding piece. Apply it in place and place enough pressure on the piece to secure it tightly without damaging the piece itself. Remove the painter's tape and allow the adhesive to set for a few days. What types of trim and moulding can enhance a vehicle? 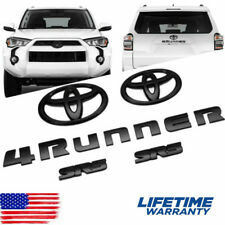 Car and truck body kits: There are different types of body kits including full body kits and smaller lip kits. It all depends on whether you want your kit to span the entire walls and floor of your vehicle (for which you'd need a full body kit), just along the doors (for which you'd need side skirts), or along the front (for which you'd need a lip kit). Emblems: If you like to show your pride for your vehicle, consider changing out your car’s emblems or add new ones. Weather stripping: After years of wear and tear, your car’s weather stripping could be faded and cracking. Replacing your weather stripping can help make your car look like it’s brand new.